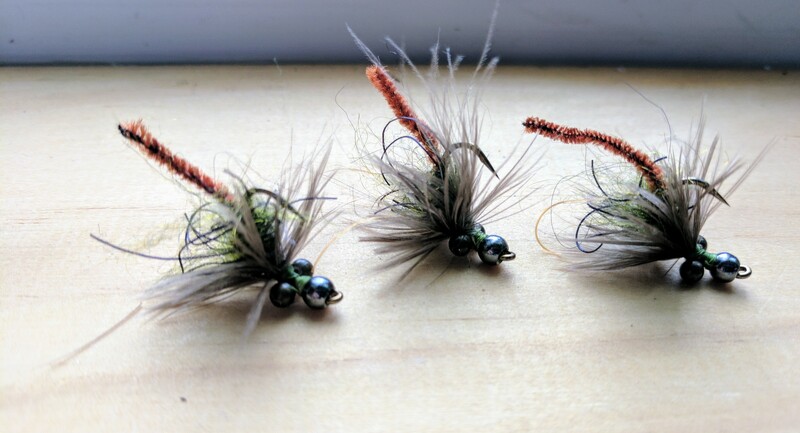 Over the past two months I’ve had some time here and there to do some experimenting with different fly patterns amidst the normal tying. No originality is claimed on any of these, since they’re all based (to varying degrees) on existing patterns. It’s always good to experiment! Click on the photos to see a larger picture of each pattern. 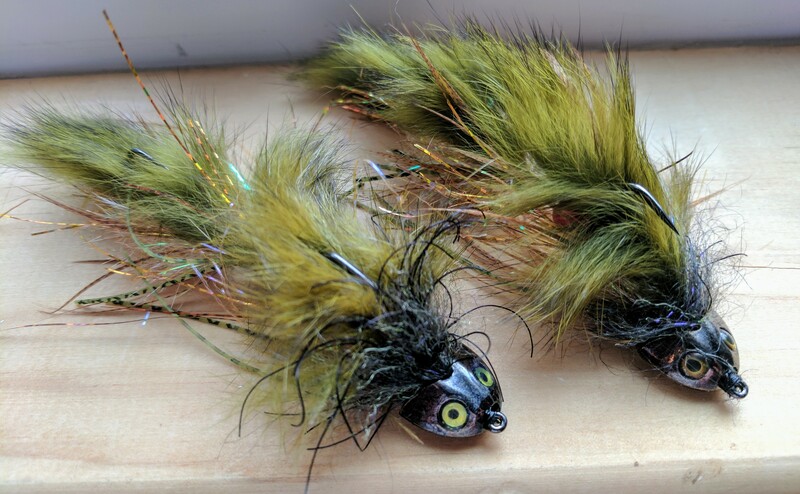 For the perpetually curious: some cool materials used are Cohen’s Carp Dub (on the clam and wiggle nymph), and various products from Flymen Fishing Company (Sculpin Helmets, Fish Skulls, Fish Masks, Surface Seducer Popper/Slide head, Craw Bodies, Shrimp & Cray Tail). 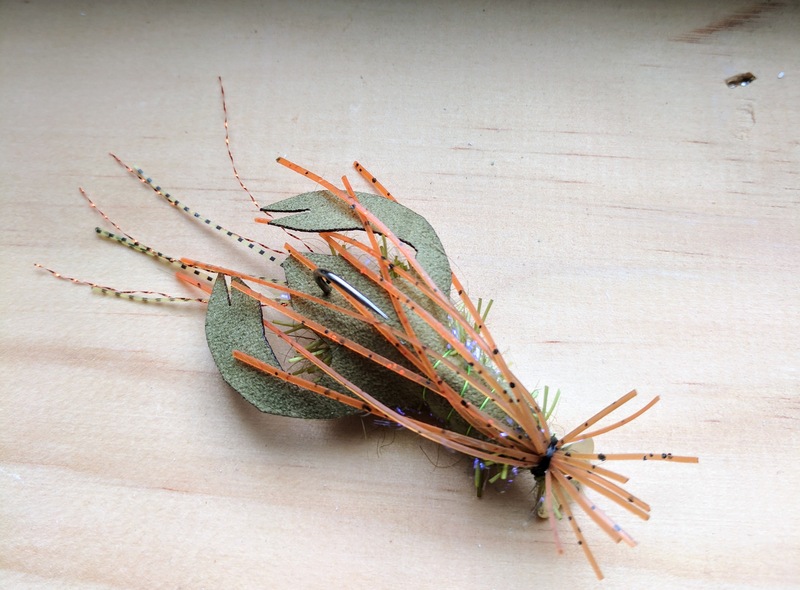 Based on Cohen’s Jiggy Craw and Villwock’s Crazy Leg Crawfish. 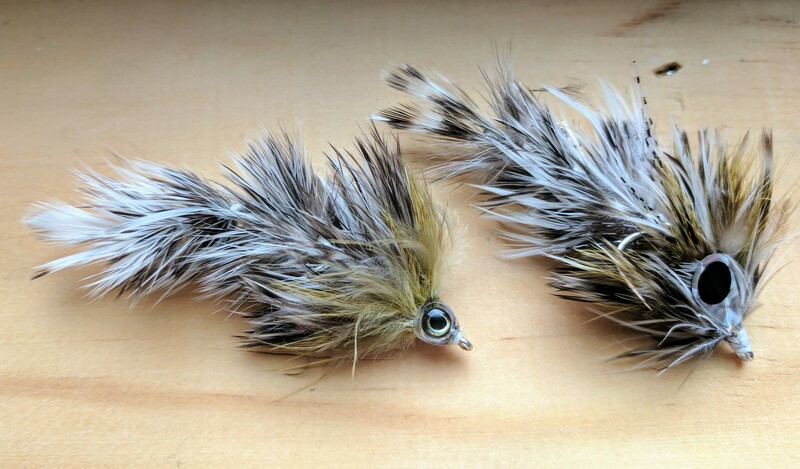 Hammond’s Soft Clam pattern for carp. 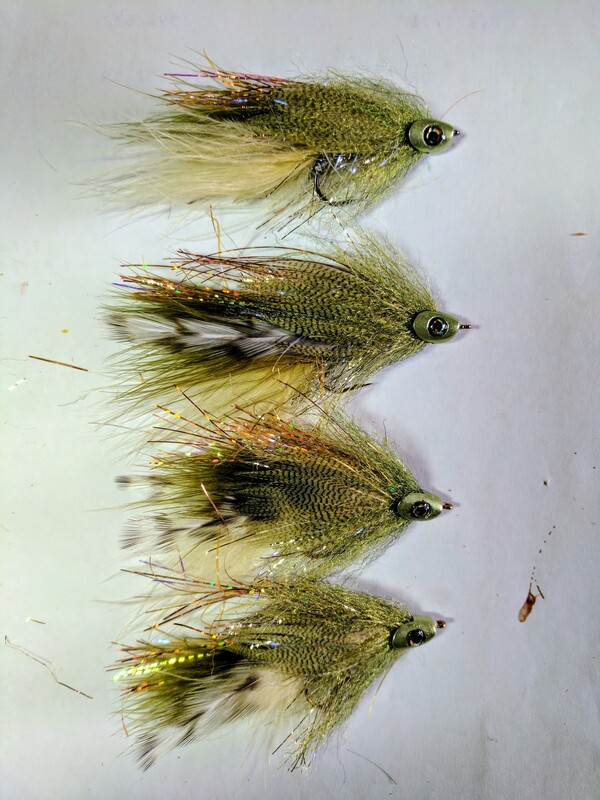 Wiggle Nymphs on a size 8 jig hook. 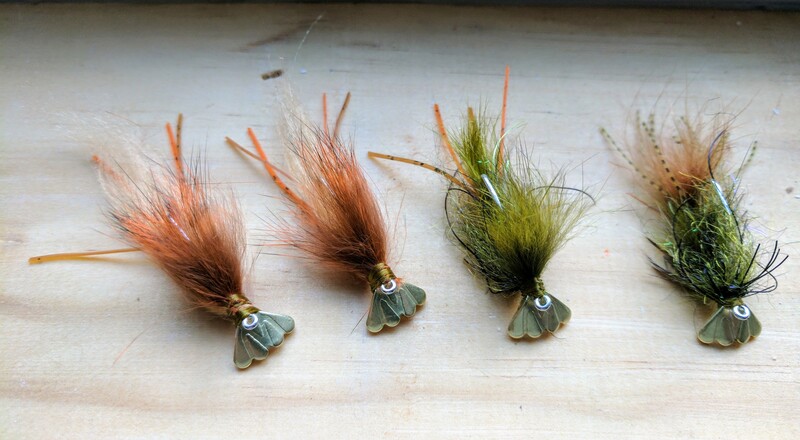 It’s a combo of Schultzy’s Single Fly Cray and Galloup’s Brokeback Crawdaddy. 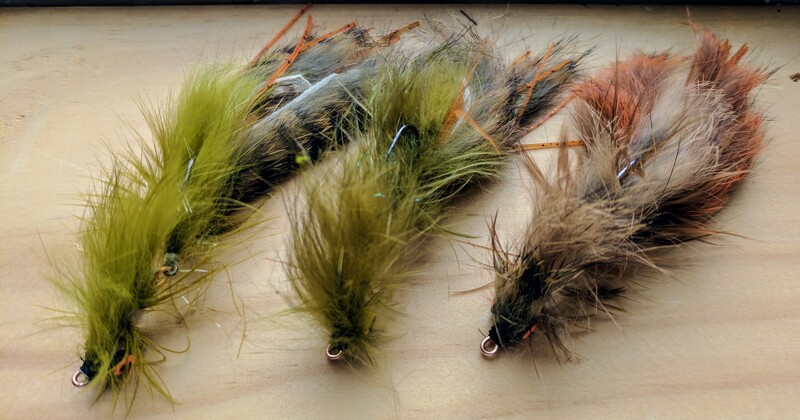 Size is larger, based on dead crayfish I’ve seen on Penns Creek. 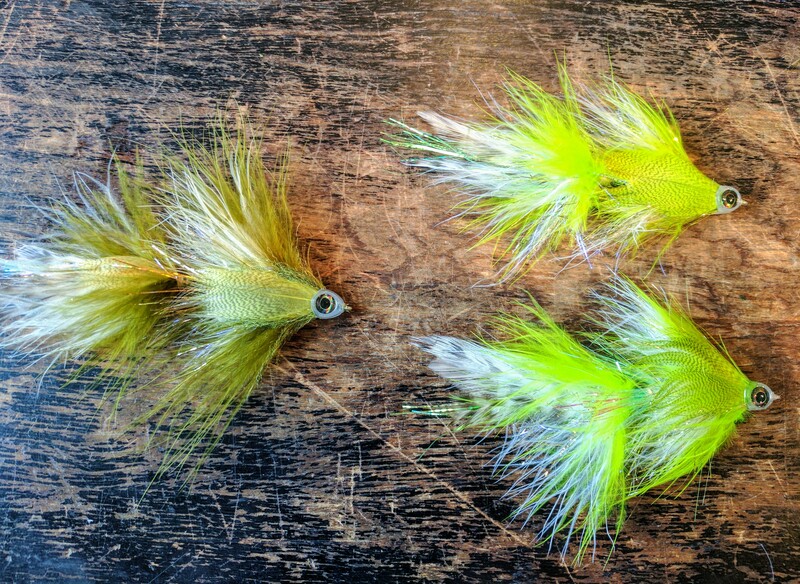 A rabbit strip variation on Strolis’ Headbanger Sculpin. 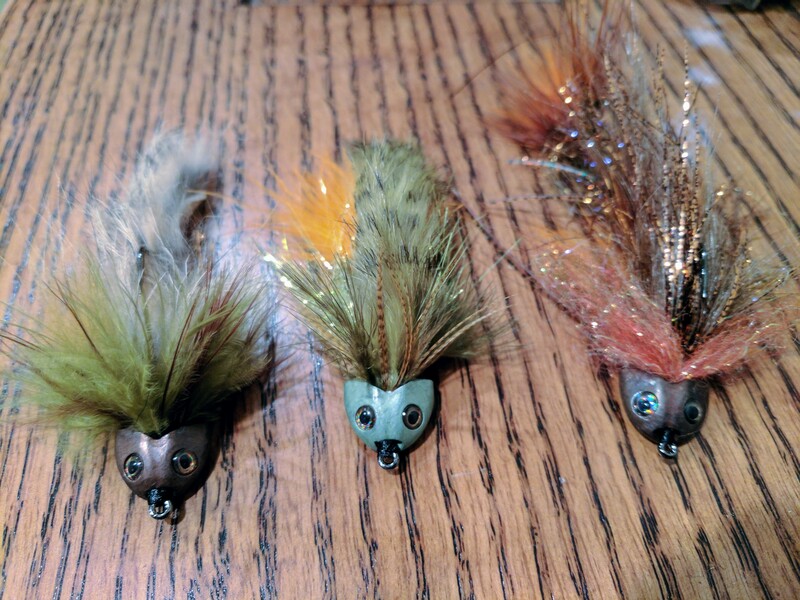 Having some fun with sculpin patterns: a Headbanger on the right, two experiments next to it. 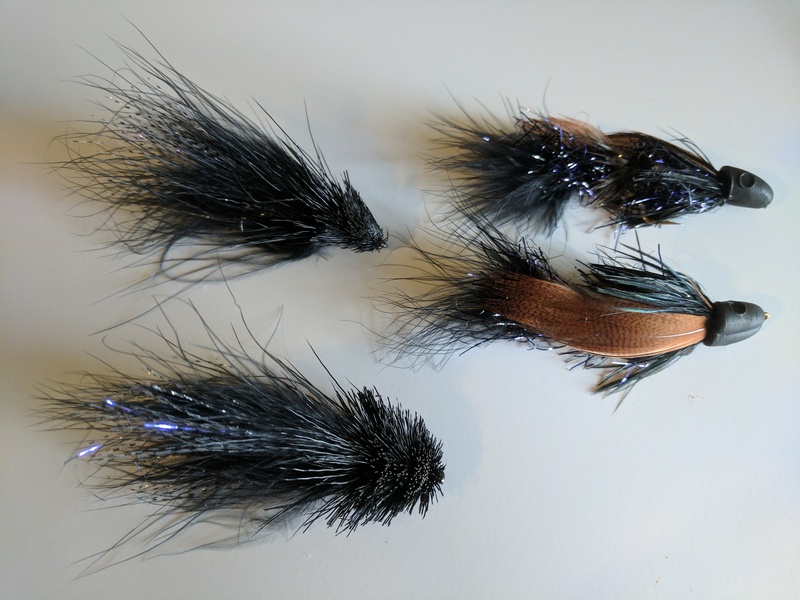 Lightweight streamers based on Brammer’s Marabou Minnow and Trutta’s Demise. 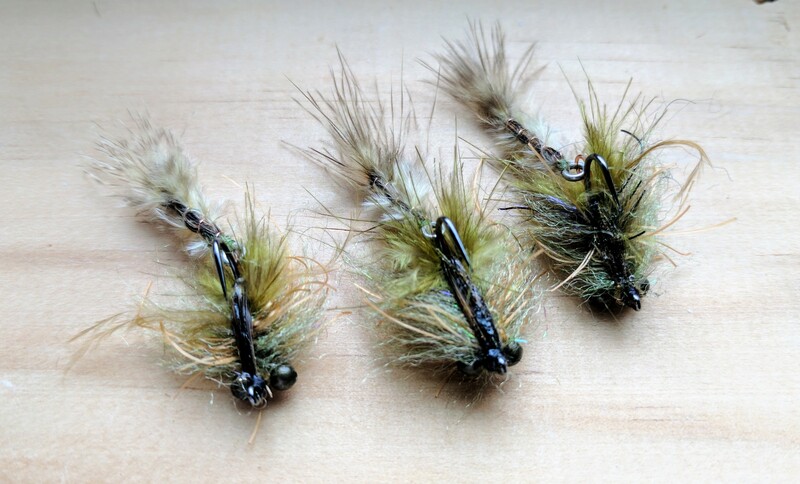 Smaller streamers based on Brammer’s Trutta’s Demise. Crawfish trying out the Shrimp & Cray Tails from Flymen Fishing Company.